Chickweed (Stellaria Media) is a little known herb which has a wide variety of medicinal and wellness uses. It is an edible plant which can be used as a table vegetable and also to create teas, or "green drinks". It is quite high in Vitamin C, calcium, magnesium and potassium as well. Chickweed is a contact healing herb that relieves pain in addition to stimulating healing as soon as it's applied. It can be used for both internal and external healing and has even been used throughout history to stop bleeding in the stomach and bowels. It is also an excellent addition to ointments, poultices and salves. It not only decreases pain, but also helps to reduce swelling such as with torn ligaments. It is especially useful for this when mixed with pure aloe vera juice which helps penetrate all three layers of the skin. This in turn allows the chickweed to reach the underlying damaged areas and begin removing the pain and starting the healing process. Chickweed in tea form is excellent for use as an acne wash, and it can even be added to a bath to help with sores, rashes, boils and burns. This herb is also excellent for blood vessels and your circulatory system. Taken internally it helps purify the blood and carry out toxins, and is even been known to help with blood poisoning. It also dissolves plaque in blood vessels, as well as dissolving fatty tumors and substances then removing them from the body. 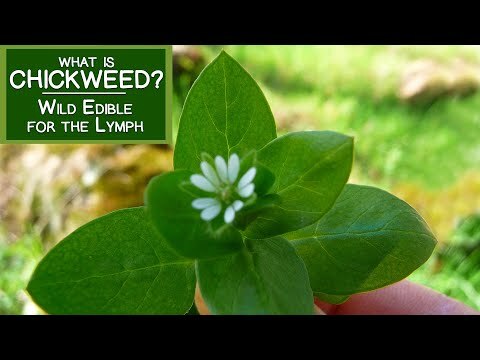 Chickweed is also a little known herb which helps with weight loss. It actually works as an appetite depressant and is used in many weight loss herbal combinations. You can add extra chickweed to decrease your appetite even more and help aid in losing weight. If this all sounds like a lot of stuff to buy another general cleanser such as Chlorophyll taken with Chickweed is said to have the same effect. Some people also add in some Echinacea which helps in normalizing blood sugar levels which in turn assists in helping your body lose weight and shed fat.